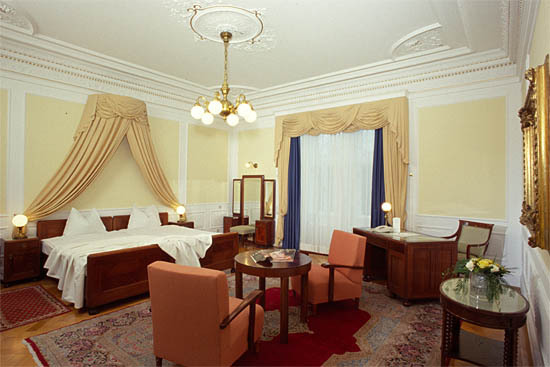 The Hotel Regina is situated in a beautiful park located on the Ringstrasse near the Votive Church. It was built in 1877 as a city mansion – so this hotel has a 110 year history! 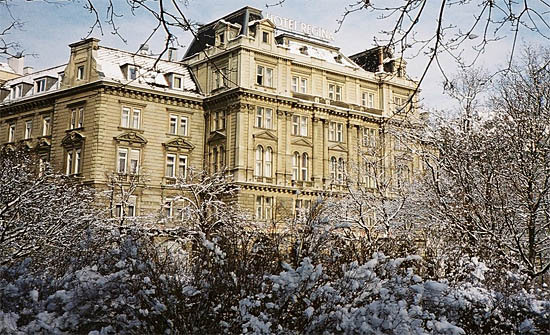 Book Hotel Regina Vienna online now! The central location in the university quarter is within walking distance of Vienna’s famous sights and shopping. The hotel offers a refined and elegant atmosphere coupled with the convenience of our times. The 164 rooms feature classic Viennese furniture, bath or shower, minibar, cable TV, radio, hairdryer, safe and high speed Internet. Live like a Viennese monarch in the suites that let you dream of the Habsburg empire. Of course, besides the traditional classic, the hotel also has all the amenities of the modern world. The hotel has a business center, which is available around the clock. All public areas are equipped with wireless LAN. Public transportation is nearby. The banquet rooms have been preserved in the style of the founding, the modern technology remains in the background. The hotel is also used as a venue for seminars and conferences, celebrations and meetings for up to 200 people. The hotel’s restaurant Roth offers Austrian specialties in a cozy atmosphere, as well as exquisite Austrian wines and cocktails.